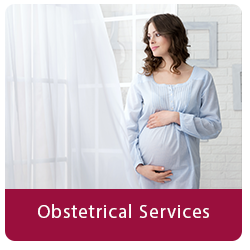 The Women’s Health Center specializes in obstetrics and gynecology. 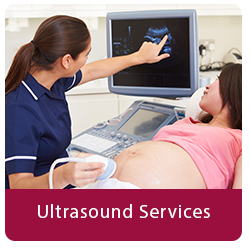 We utilize state-of-the-art testing and ultrasound to complement our personalized care. From pediatrics to seniors, we provide a comprehensive range of health care services. Our special interests include obstetrics, providing the specific care required for each age group; personalized hormonal therapies, including natural and bioidentical options; regulating menstrual disorders; screening and treating sexually transmitted illnesses and all forms of contraception including an incision-free approach to permanent birth control. We offer advanced care for menstrual disorders and problematic fibroids. In addition to medical therapy, we specialize in minimally invasive alternatives to hysterectomy including looking into the uterus (hysteroscopy) and thinning the lining of the uterus (endometrial ablation). "The staff here is very nice. I would recommend this place to any woman." "My delivery was fast, and I felt so secured and at peace knowing I was in good hands." "I had a great experience with The Women's Health Center." "I have nothing but good things to say about my experience with this office." "I plan on having Dr. Nguyen for my next pregnancy. She really goes above and beyond." "D. Nguyen deserves more than 5 stars!!" "I'm glad I found Dr. Nguyen and if I get pregnant, I will definitely be choosing her." "I am forever grateful to her and the constant attention she gave to my baby and me." 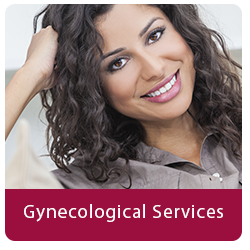 The Women’s Health Center is a leading OB/GYN practice in Fountain Valley, California. Women from throughout Orange County and Los Angeles have access to expert gynecological and obstetrics services including pap smears, contraception and birth control, pregnancy and prenatal services, ultrasounds, STD testing, breast cancer and cervical cancer screenings, and minimally invasive surgeries. Women can find treatments for conditions including abnormal bleeding, UTIs, PMS, HPV and other sexually transmitted diseases, and fibroids. The doctors at The Women’s Health Center are dedicated to providing excellent and individualized care to each of their patients. For over 20 years, the clinicians have been providing care and understanding to the women of Southern California at all stages of their lives. From pediatric gynecologic problems to menopause, women’s needs and health care is put first. The team of physicians and staff are passionate about providing the right care at the right time and ensuring that each and every patient receives the personal care and attention necessary. The Women’s Health Center is currently welcoming new patients. Most major forms of insurance are accepted. "Follow up is always fast and over 17 years, I have not ever experienced anything but friendliness, compassion, and caring from everyone there." "Been going here for over 15 years. Never had a bad experience. The doctors have all been compassionate and helpful." "I really like this place! I came here before I got pregnant and now I keep it as my primary care during my pregnancy. I would recommend The Women's Health Center." "I went here for my pregnancy and received very good care. Doctors and Nurse Practitioners are highly professional and nice. I would highly recommend this practice." "The staff was always very kind, friendly and helpful and, best of all, I seldom had to wait very long for my appointments." "I have been a patient in this office for 5 years and during that time I have had the opportunity to consult with 3 of the doctors--all of them were wonderful." "Dr. Nguyen is amazing and the hubby and I are so thankful I have her as my OB. I can say that she is extremely genuine and caring and it makes everything better." "You can trust Dr. Nguyen when you have any concerns or questions during pregnancy. What I love about her is that I didn't feel rushed." "I was so happy when I found out I was having twins this year cause I knew she was gonna be my doctor! She takes her time with her patients and is so smart and kind." "Dr. Nguyen herself is very knowledgeable, very very informative, answers all my questions (small and big), so reliable, and had a great personality." "Dr. Tracy never failed to be honest, discuss risks with us. She is also such a genuine and caring person and doctor." "I've been following Dr. Tracy for over 14 years. She is an excellent OBGYN who has performed 3 of my C-sections." "Dr. Tracy is extremely knowledgable and thorough. She is able to answer all my questions. I can definitely trust her with my life. I recommend her." "I honestly feel that Dr. Tracy is like an old friend--we get to catch up once or twice a year. I feel comfortable talking to her about anything." "My last pregnancy was amazing with no complications and Dr. Tracy was great!!" "She is so calm and caring. I loved being able to be 100% myself when I had an appointment with her."